In two of our previous posts (here and here), we talked about sizing and measuring for tile and also went over some of the basic terms used to describe natural stone tile. In this one, we want to help you understand and appreciate the natural irregularities and imperfections that are found in natural stone products. 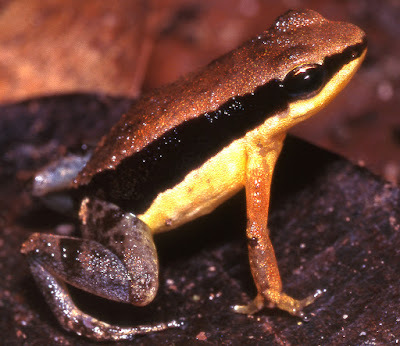 These amazing creatures are a few of the amphibian species recently identified in the Amazon according to the World Wildlife Fund. 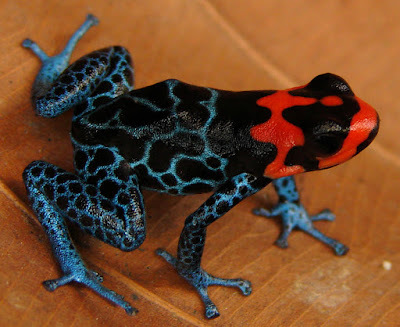 They are perfect examples of the gorgeous imperfections found in nature. Their stripes are not symmetric; their spots are not perfectly round or equally spaced; and the guy in the top picture could certainly use some snazzier pants to go with that top. But there is undeniable beauty in in each one. Natural stone is a product of nature. 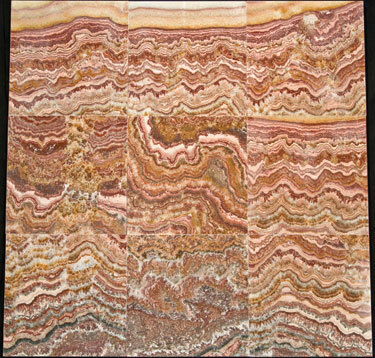 It will often have variations in color, texture, edges, corners, pits, striations and veining. There can be differences from one tile to another, even if you are buying the same type of stone from the very same batch. In the natural world, perfection is an illusion. The irregularities and variations found in a stone tile can be a big part of what makes it so beautiful. When thinking about natural stone, a good maxim to follow is "Know Thyself." 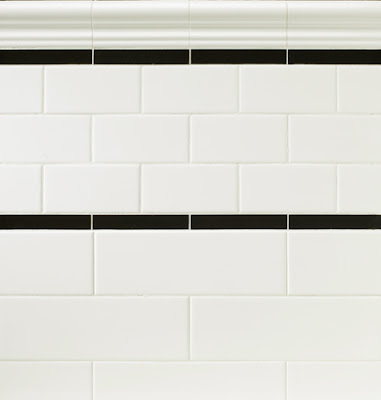 If you have OCD tendencies and you know that seeing darker and lighter tiles sitting right there next to each other on the wall will start you twitching and foaming at the mouth; or the sight of the rounded edges on the tumbled tiles not lining up perfectly freaks you out, you might want to walk (or RUN!) out of the natural stone tile section and head over to the ceramic tile where things are a little more orderly. 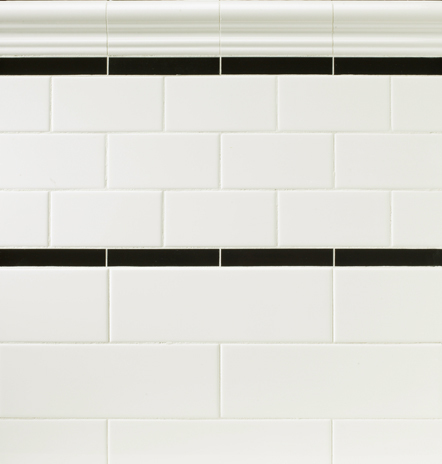 Just take a deep breath and let the calming force of the white ceramic tile wash over you. Look at all those straight lines and perfectly square corners. Ahhhh....that's better. This stone has a very consistent color and almost no movement or texture differences. One tile looks just about the same as all the other tiles. It is indeed, a natural stone tile. This limestone can come with straight, non-tumbled edges, so it can practically mimic the look of ceramic tile. The following stone pictures are from a great stone supplier, World Wide Stone Corporation. This stone type has some movement, but it is very consistent in color and "visual texture" from one piece to another. There are lighter and darker areas on all pieces, but the variations are spread throughout, in way that gives a relatively uniform appearance. This stone could also be described as having a lot of movement, however, the variations are mostly in texture. The color only varies because it has both dark and light shades. But the overall color itself is consistent throughout. It does have natural striations that vary from tile to tile. That middle tile in the bottom row seems to be almost all one color. The tile in the top left corner has numerous stripes of color. You would say that this stone has a lot of movement. It has a great deal variation in both colors and textures. Its color is predominantly a warm gold, but you also see places of dark brown, orange, lighter grays and even some spots of black. The texture varies greatly between tiles. The tiles in the bottom row do not have many striations or color differences. But the tiles in the top left corner have a great deal of variations and color difference. This stone type is clearly the wild child of the bunch. 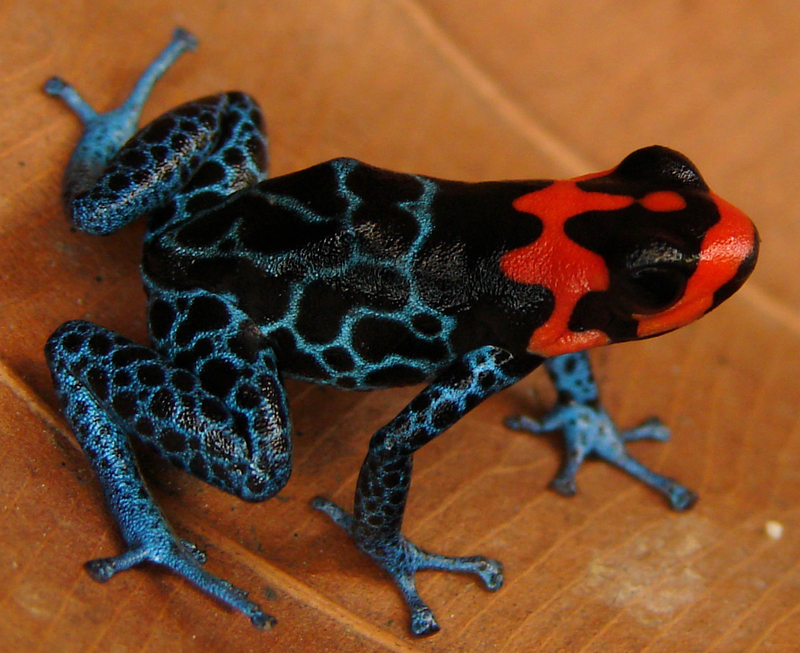 It is bursting with movement, visual texture and color differences. You definitely could use this tile to add an LSD-inspired splash to an otherwise staid room decor. These are only a few examples of the different natural stone tiles you can find, but it gives you a little taste of the variety available. A good tip is to look at more than one piece of stone tile from the same batch when you are trying to determine which stone type that you like. Four to six tiles of the same stone will give you a good idea of how much variation you might find in that particular type of stone. But don't get carried away with this. If you find yourself asking the tile person to bring out the crate of stone so you can pick through it, piece by piece; or if you want them to promise you that all of the tile that you receive in your order will look exactly like your four sample pieces....time to slowly back away from the boxes of natural stone and shuffle on over the oasis that is the ceramic tile aisle. Like most things in life, it really comes down to balance. You might want to choose a "calmer" or more consistent stone type if the rest of the materials that you are using in your room already have a great deal of visual texture. Or go a little wild with your stone to spice things up in a room that is awash in mild, non-threatening neutrals. 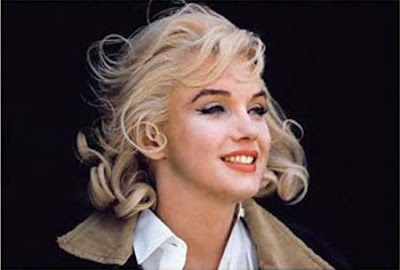 to be absolutely ridiculous than absolutely boring."